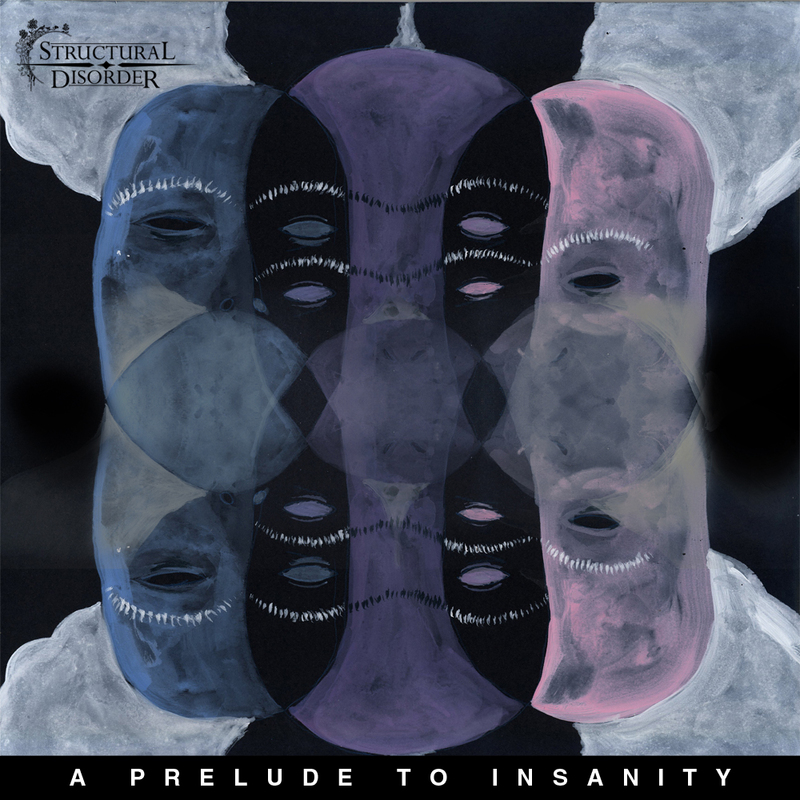 Structural Disorder reminds me about a calmer, but more distressed, more progressive version of Devin Townsend. Their first song Rebirth takes you through a mind-boggling and tempo-shifting asylum. They manage to integrate the calmer moments with both an aggressive approach and a more technical one. As we venture further into the first song, we get uncompromising but skillfully handled solos, both from the guitarist but also the drummer. You’ll need to read the background story for this one, it makes the music more enjoyable. Suddenly, after the last shriek of “at least help me die“, an envisioned and visual utopia embarks ahead in my mind. With an organ playing calmly and a soothing voice, introducing me to the second track, Peace of Mind. Whilst I sit entranced, a spazzy synth engages with a fast-hitting, almost flying snare. A great combination, excellent shift from one mental state to another. As I find myself missing out on some more heavyness, Structural Disorder manages to deliver it to me, in the next song, titled: Sleep On Aripiprazol. This reminds me a little bit of the Diabolical Masquerade song Haunted by Horror, but without the growl, and with more touches of funkiness. It’s pretty neat how they manage to incorporate the first two themes with a third, developing, but not excluding the frontmost two songs. In the end, it also reminds me quite a lot about some Final Fantasy boss-battle, very nice and hard-hitting – but at the same time, mellowly sounding. The last song The Fallen, sets every theme in place, gives it a rest, but also narrows it down and finishes it greatly. At the end of this album I feel like something is missing, but I don’t really know why, maybe it’s because I want more. Right now. This made me feel like I had been listening for hours straight, it really felt like a double-album at least. These guys really have a potential and their sound is unique, I could be dreaming myself away with the great arrangements all day. Deserving a real star, so they can shine, because I really hope they will. ← Intervju med Mushroom Caravan Overdrive!